Beekeeping is an interesting hobby. Many people who learn to master this skill, are directly a part of the community of people who are helping to maintain our food sources. You see bees are pollinators and they are responsible for helping to sustain the growth and reproduction of crops. Plants like cucumber and melons benefit from bee pollination. But overall, it is enjoying learning how to take care of creatures that can be self-sufficient. However, with all the pesticides and threats that exist, they need all the help that they can get to sustain the bee population and keep it growing. Apart from having your own beehive, you can decrease or eliminate the use of pesticides as well. Pesticides have been one of the main threats to these little creatures. So keep in mind, when you start your beehive installation and maintenance, you can’t have these deadly chemicals around. It is important for the survival of your beehive that you put it in a proper place. The wrong hive placement can totally kill off your bee population. It is an important point to remember, just as you would learn about how to install a beehive or about hive box maintenance. Things are different outside in the elements that they are in your roofed home. Animals must be able to withstand the seasons. They have to deal with changing weather temperatures. 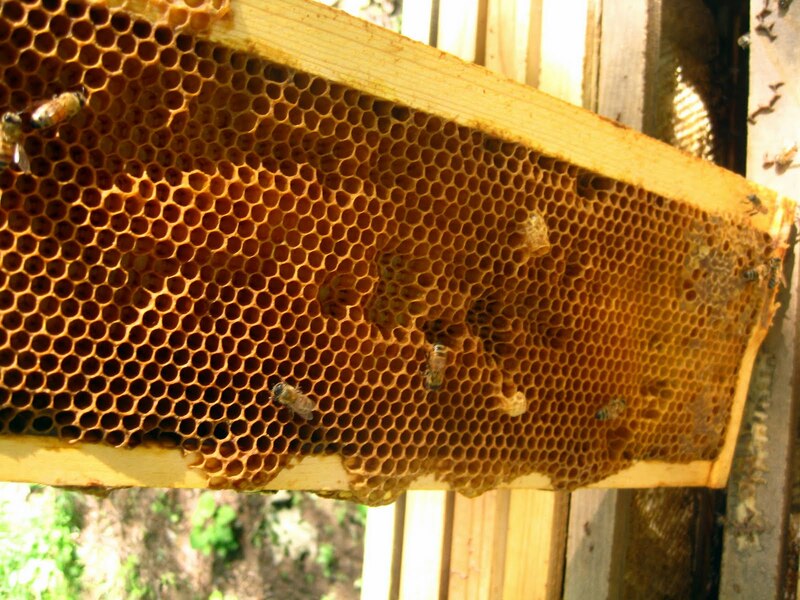 They need a water source and their hive must be able to withstand the wind, rain, snow, and heat. It should also be safe from foraging animals looking to swipe some tasty honey. The success of your beekeeping project depends on your ability to care for them. You will create problems for your hive if you have to move it at a later time. So get the honey bee hive placement correct from the point of installation. Continue reading as we discuss a few tips to help you get this job done correctly, the first time around. There are a number of factors to keep in mind. Like what are your summer temperatures, where do you live, what part of the country do you live and what are the temperatures like there. The best location in your yard, for a hive, will give the bees exposure to the morning sun. Your bees will start foraging about earlier because of this. 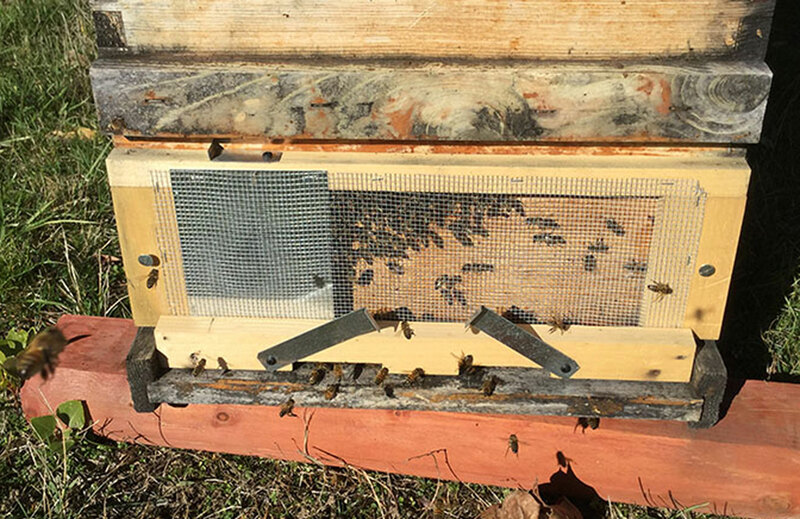 In cooler temperatures, you don’t have to worry about leaving your hive in full sun all day. But in warmer more tropical climates, they will need some afternoon shade to cool things down inside the hive. 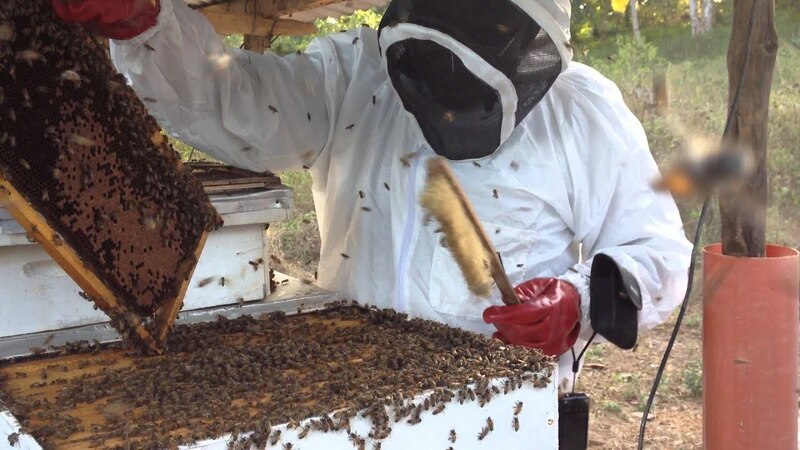 Hives can’t take full wind action, so think about this when installing your hive. So look for a perfect windbreak area like behind trees, bushes, some shrubbery or a fence. 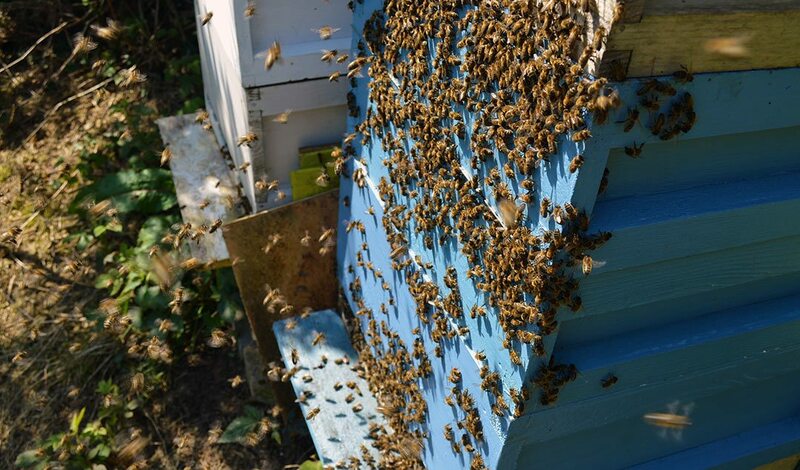 Ensure that during the winter months the north facing sides of the hive are covered. The entrance of the hive ought to be facing the southern or southeasterly direction ideally. Take notice too when the temperatures go below zero. Ensure that there is enough space between your hives so that they do not touch. And so that you can work comfortably. You shouldn’t be bumping into them when you are walking around. You can use cinder blocks to give your hive the perfect placement off the ground. Or you can build a platform. This is important for several reasons. One, you don’t want moisture to get into the hive or for it to become flooded. Also, you will be doing a lot of work on the hive. The maintenance is constant and necessary, so taking care of your back is important. Put it at a level that doesn’t require much bending. You should be able to lift easily, but you shouldn’t strain to reach it either. So don’t make it too high. When foraging season comes about you want easy access to the honey supers. Having a water source is important when raising bees. You can install a birdbath, or have a shallow pot with sufficiently sized stones for them to perch on and have a drink. The entrance of your beehive should be opposed to any foot traffic. Give them some private placement to deter a lot of activity around the hive. Remember bees can get territorial and think that people who are walking around normally that they are a threat to the hive. If they are not seeing people moving about, then fewer accidents will occur. But keep in mind not to face them towards the wind either. The best beehive placement places your hive outside of the reach of natural predators. Research and learn about your area. Find out if there are bears or skunks. Protect the hive from climbers. When it comes to bigger threats, you might need an electric fence to deter the animal.